Simon's collection of modern landscapes have been captured whilst travelling around the United Kingdom including images from Europe and America. 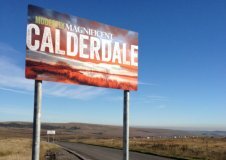 Click here to see Simon's images used on Calderdale's new 'Pretty Gritty' boundary signage. Photographs may not be used without written permission.